PlayStation (PS1) | Binary Messiah - Reviews for Games, Books, Gadgets and more! Crystal Dynamics was a juggernaut on the PS1. After Tomb Raider was released they firmly placed their name in every gamer’s household. Akuji was released closer to the end of the system’s life cycle, and while critically acclaimed, it didn’t sell well. It was a bizarre game about voodoo and was hard to market at the time. You play as Akuji who needs to get his wife’s soul back and must travel through the different levels of hell to reclaim his ancestors’ souls and appease the keeper of the vestibules which act as hubs. In each hub, there are doors you can go through that lead to each level. If you don’t collect these floating heads you won’t be able to advance in the game and I absolutely hate this system. Even with all your skills, you used to beat bosses and enemies you need to collect things. I feel this is demeaning and frustrating. For the story, it’s forgettable and nothing special. The game plays quite well with Akuji jumping around, slashing, and blasting spells. You will use your spells more than you think in this game and there is a variety of them and each is used for different situations. Outside of combat, there is some minor puzzle solving and switch throwing. Platforming in the game is mostly fine, but the camera is sluggish to move around with the shoulder buttons so Akuji will jump off an edge or fall to his death. Another irritating thing is the use of lives, I mean why? You can hit checkpoints, which are poorly spaced, so why not just restart there? Why punish the player even more as if surviving and checkpoints aren’t enough? I felt this game dragged on a bit too long. There are over 15 levels and, while they all look different and look great, they’re unoriginal. They are mostly short, and each level plays out the same. Grab this doohickey, put it here, flip this switch, kill this enemy to lower this wall, etc. While this was the norm back in the day, it just doesn’t hold up well. Maybe if some things changed a bit like the use of lives maybe it would be a more fun experience. Mixing a collectathon with a progressive platformer just doesn’t work well here. The game looks fantastic as Crystal pushed the PS1 to its limits, probably too hard. When effects like water splashes or magic effects flash around the game slows down to a crawl which can get quite annoying, but it’s still playable. Overall, Akuji is a great PS1 title that has solid controls and great gameplay, it just has so many frustrating factors around it that make it less enjoyable as you play. If you really need a PS1 platformer that’s different then go for it as this is a hidden gem. The late 90’s was home to extreme sports on consoles. There was a huge boom in this genre and it led to many great games. Sled Storm is kind of an oddball as snowmobile racing isn’t a huge hit in the US. However, EA managed to pull off a responsive and fun little racing title. Sled Storm is similar to most arcade racing games from its time. There are several modes such as championship, single race, and multiplayer. Championship has two different modes. One mode is an open circuit with natural courses and you can upgrade your ride. The second on is a snocross closed circuit event in which you just need to win. Sounds simple enough right? Wrong. You need to get first place in every race to advance. There are 4 other racers on the track and the game is subject to frustrating rubber band AI. You can be ahead all through the race and on the final lap, everyone seems to zoom ahead of you. One crash and it’s restart time. The other annoying thing is that you only get 3 restarts and then have to restart the entire championship. It’s rather annoying but tolerable. The crafts handle really well and the visuals are great. Powder flies up behind the vehicle into the camera every time you bounce or take a turn. There’s snow blowing toward you and the track is nicely detailed. The controls are what steal the show here. They feel smooth and very responsive and make you want to keep playing. There is no fancy trick system here, but a point system is used for knocking down objects on the track and other reasons I couldn’t figure out. That’s about all there is to this game. The tracks actually vary, but after beating the championship there’s really no reason to come back. Think of this as a quick little 2-3 hour racing game and back on the shelf it goes. Fear Effect is actually a game that goes way back for me. I remember the summer of 2000 and was shopping around in a local game store, Game Doctor, back in Casper, Wyoming. There wasn’t really any databases to look up reviews back then, outside of magazines, so I would always pick a game based on its cover. I saw Fear Effect, $30 used in the display case. I used trade-in credit (back when it was all written down on carbon paper) and took game home. Seeing it had 4 discs I thought I was in for one hell of a ride. I was actually dead wrong and returned the game the following day. It was frustrating, hard, and had content too mature for my age at the time. It’s so strange finishing this game almost 20 years later and realizing that it was actually harder than I thought. This game is down right unfair and frustrating around every corner. You play three different characters throughout the game, Hana, Deke, and Glas. All three are mercenaries hired by a Chinese mobster who wants his kidnapped daughter back. It starts out as a spy style action game and then quickly turns into something supernatural. It’s the strangest thing and is such a jarring change of pace for this type of game. That will be the least of your worries, however. The game has beautifully pre-rendered backgrounds that you run around a la Resident Evil style. These “tank” controls are just awful and there’s a reason why they don’t exist anymore. You can sneak around, shoot, and use items, but it’s how those are executed that makes the game so hard and unfair. Stealth is actually out of the question, no matter how slowly I snuck up guards would hear me and kill me. I just had to blast my way through everything and there in lies another issue: Ammo. You will have many enemies thrown at you with little ammo and the supernatural enemies don’t drop ammo. They even get clever towards the end and make them drop paper ammo that you need to backtrack to a fire and burn to get the real ammo. It doesn’t end there, you will be reloading save after save and dying over and over again. Most of the puzzles and traps will trigger an FMV, and usually a death FMV, meaning game over. Just the slightest pixel of your character touches the trap and you’re dead. It’s back to reloading the save, which is rather long by the way. The backtracking is the final killer here, especially on the final level, with item gathering on either end of the level just to unlock the door on the opposite end. It’s silly, archaic, even for the time, and didn’t need to be in this game. I will admit that the puzzles are rather clever. You actually get clues that are organically placed in the environment and you need to write them down to solve the puzzle which is neat. Back in the day, walkthroughs were scarce, so all you had was a guide or writing things down. The puzzles aren’t serious brain scratchers, but they are tough and fun. The combat itself is awful and is the main cause for reloads. You get a dodge button, but with awful tank controls, you just stand there blasting everything. There’s no cover, no armor, nothing like that. You also have to flip through your inventory with square and circle while you’re getting blown away and can cause problems. Why not pause the action with a radial menu? That’s not too hard. Is the game even worth trudging through for the story? Not really. The mix between Chinese mafia antics and the undead is weird and forgettable here. The characters have no depth and the story is slow to move forward. It’s entertaining enough to push you through the game, but nothing you would replay for, even for the multiple endings. With that said, I only recommend playing this if you want a beautiful looking PS1 game to play or you want a decent adventure. Just get the cheat codes handy or expect to spend more time reloading than playing. 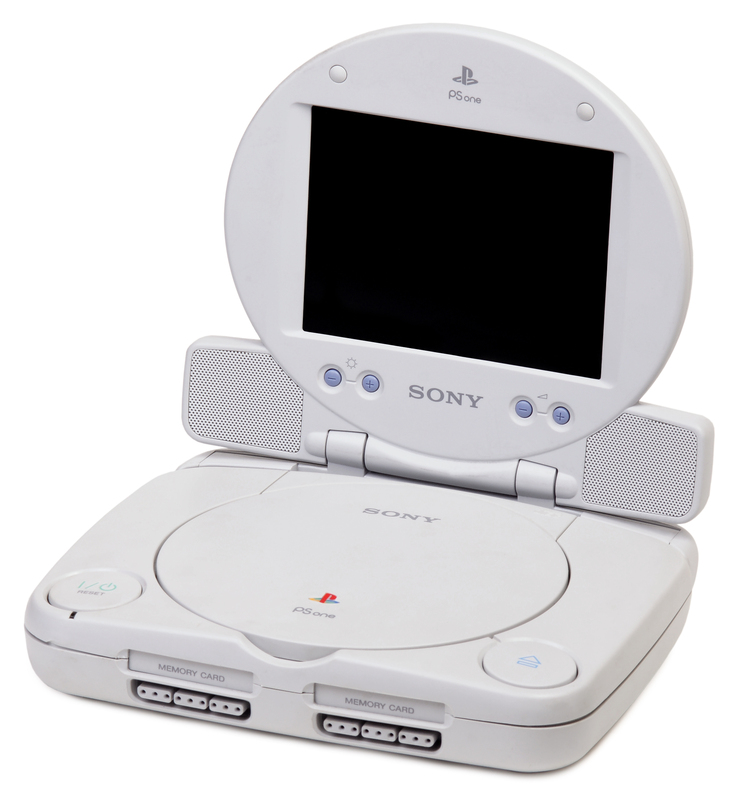 It took many years to acquire, but the PSOne with a screen attachment has been one of my top must-have consoles since it came out. Growing up as a kid, my parents didn’t have the $100 for the console and $130 for the screen add-on. The Combo Pack was released for $200 and seemed insane, but the PS2 was out and cost $300 at the time of release. $130 for a 5″ TFT LCD screen might seem like a lot, but this did more than just display games. It had an amazing brightness range, clear stereo speakers that could be quite loud when turned up all the way. It also easily screwed onto the back of the unit and had a headphone jack, AV in, and even AV Out so you can just plug it up to your TV without taking the screen off. The power cable also plugs directly into the screen, so there was a lot of foresight on Sony’s part. What makes the screen a so awesome compared to any other console out there is that you can take it with you. Using a 7.5v car adapter, bring it into your bedroom, or on the go, allows you to make playing the PS1 a more immersive and personal experience. The LCD screen makes the games look better than they do on current or older TVs. 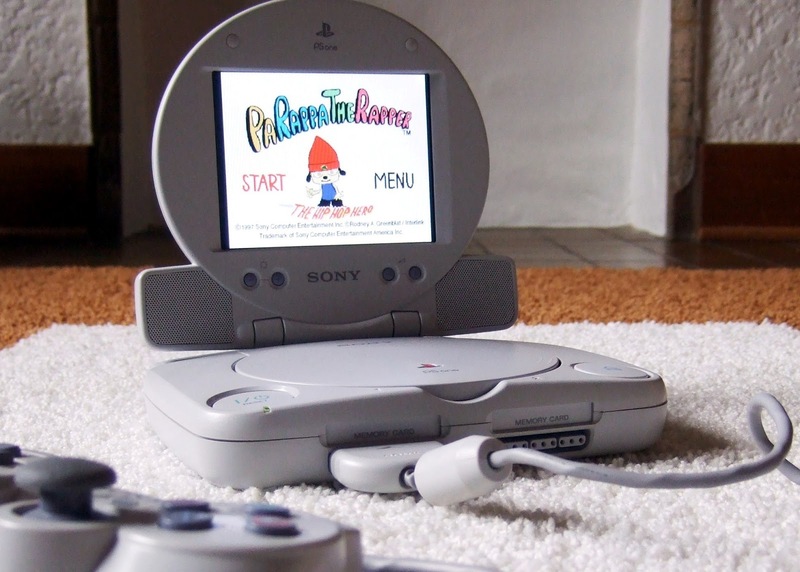 It’s like Sony found a perfect balance and knew how the PS1 would render and output, so they made the perfect screen for it. All the games display clear and sharp and the screen is quite vivid, so I can easily see the $130 price point during release. As for the system itself, what can I say? It’s the PlayStation 1! 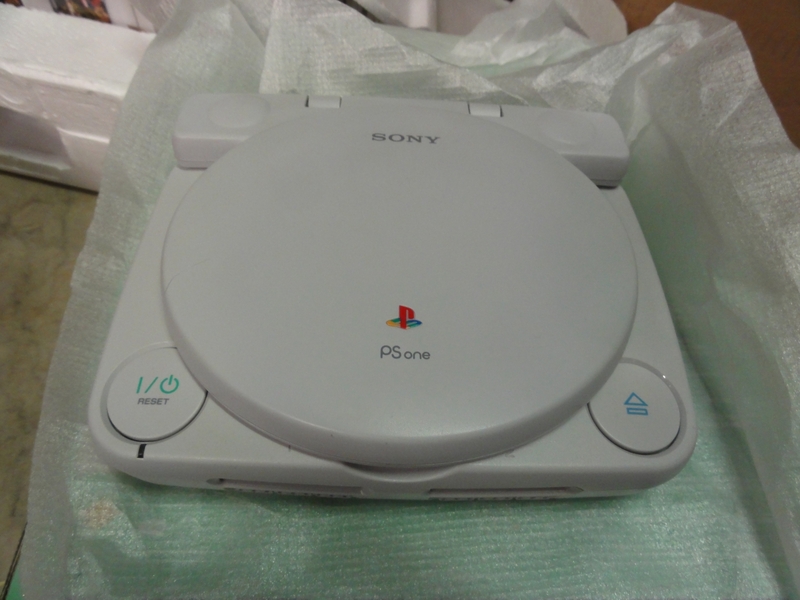 While the system’s first iterations had many flaws such as overheating, cheap laser assemblies, and various other issues, the PSOne is sleek, slim, and just the basic unit which is all we need. Sony went for a rounded style with this system and it looks great. The only downside is that you can use most wireless controllers as the receivers are too large and can’t fit a memory card on top. The system is lightweight, even with the screen attached, and would easily fit into a backpack. The PS1 has an amazing library, probably some of the best out there. The PS1 wiped the floor with Nintendo 64 due to just a more diverse and massive library. The Nintendo 64 has some memorable games, but the overall experience just couldn’t top the PS1. With pre-rendered and live action cutscenes, thanks to the CD format, it was a whole new experience. From the classic start-up jingle to the amazing feeling of the DualShock controller, and even down to the black underside of the discs, the PS1 was a behemoth and was unstoppable. 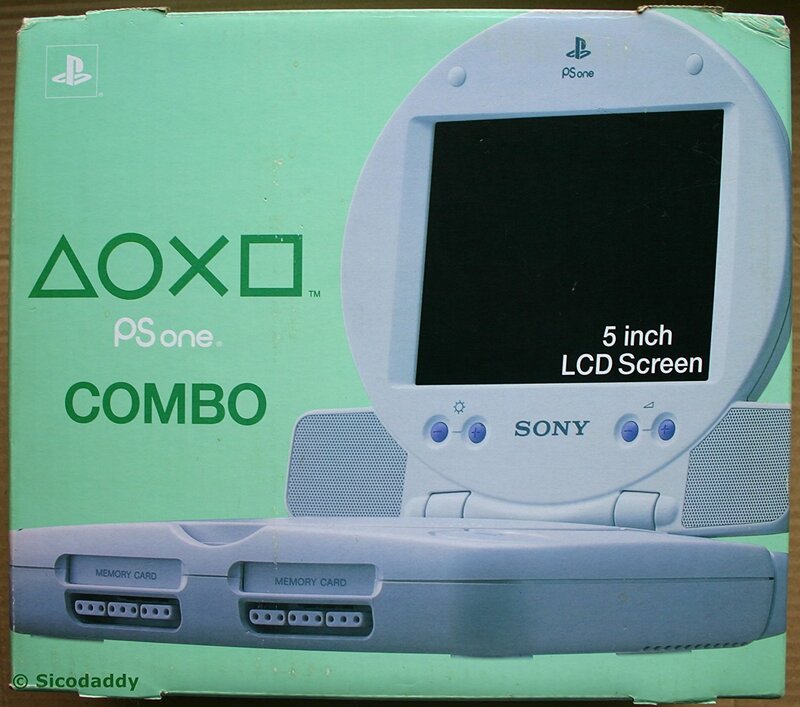 Would I recommend the current going price for a full PSOne Combo Pack at $100? Yes, go out and get it now. If you’re a PlayStation fan or just want to check out the classic library, this is the perfect unit to pick up. For some advice, make sure when you buy the unit you make sure the power and tray buttons work. These are large buttons and can easily be stuck or get grime down inside. Also, make sure the hinges on the screen aren’t loose. Many units have cracked hinges with screens that won’t stay up, and most importantly, make sure the LCD backlight isn’t dead. I bought a unit from a local store only to have the backlight die on me the second I turned it on when I got home. Of course, make sure both speakers are working and there isn’t any rattling or distortion. Make sure to ask the sellers these questions, or look for this if you find one in person.